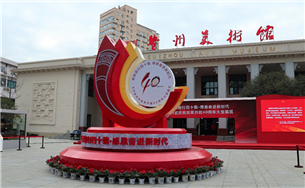 Shiqian county, Southwest China's Guizhou province, will host its first oil paper umbrella show and traditional food festival at Shiqian People's Square on Dec 22. The seven-day event will be held from 10 am to 10 pm every day until Dec 29. "This exhibition really takes me back. The bicycle, radio, and refrigerator on display are exactly like what we used in the 1980s," said Huo Sijian, a senior technician at the Guiyang Tobacco Factory. Inspired by Suzhou-styled colored painting, Zunyi grass-stack painting began to be created in the early 1960s. The 2018 China Tourism Scenic Area (Huaxi) Consumption Upgrading Summit kicked off in Guiyang, capital of Southwest China's Guizhou province, on Dec 19. At the 20th award ceremony of the Chinese Outstanding Patented Invention and Industrial Design, held in Beijing recently, the patent for the 718Plus alloy forging method, owned by Guizhou Aviation Technology Development Co, won a Chinese patent award of excellence. The Nanjing Tech University Jiangsu team was crowned champion at the 2018 Women's Strait Cup Softball Match, held in Qianxinan Buoyei and Miao autonomous prefecture. 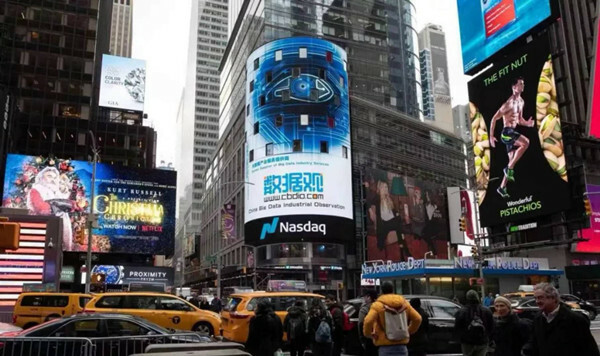 A promotional video for China Big Data Industrial Observation (CBDIO), a professional online media belonging to Guiyang Daily Media Group and a major player in the big data industry, appeared at the Nasdaq MarketSite in Times Square, New York on Dec 13. The city of Guiyang, known as China's Data Valley, is actively carrying out the construction of 5G test network and innovative application demonstration scenarios across the city, including in its high-tech zones of Guanshanhu district and Shubo Avenue ("Shubo" means "big data expo" in Chinese). 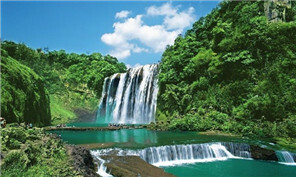 Guiyang strives to enhance tourism exchanges and cooperation with Europe, the United States.